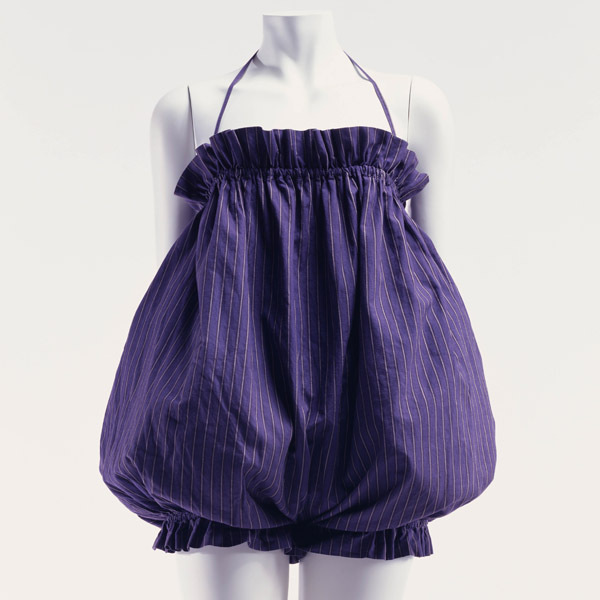 Navy cotton calico with white pencil-stripe; rompers shape. 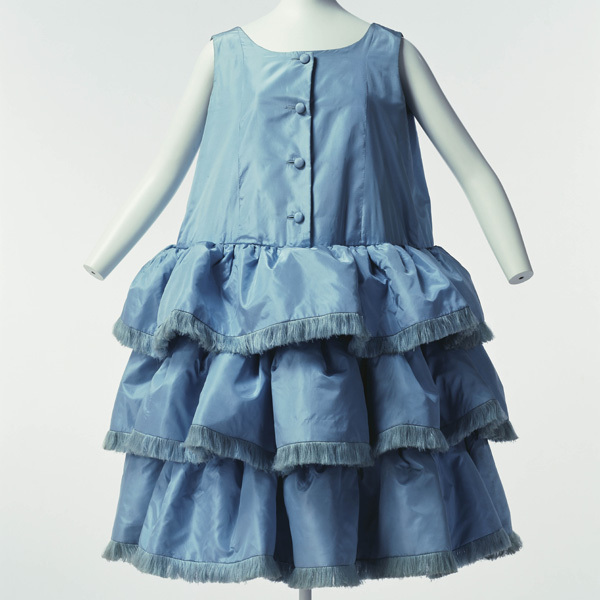 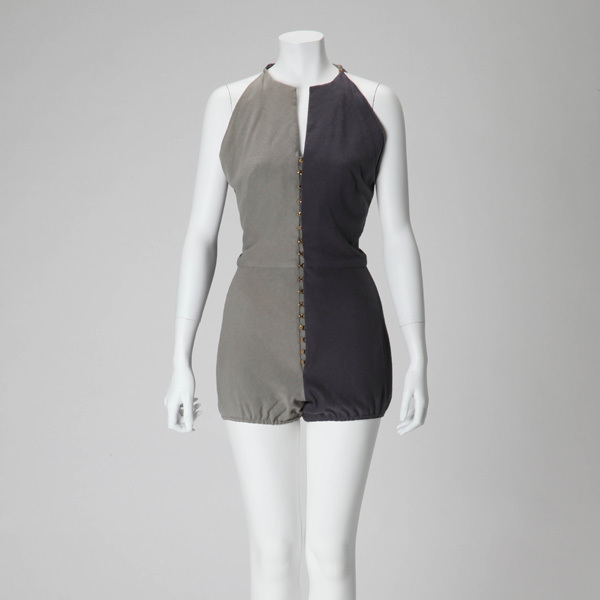 This rompers-shaped bathing suit is typical of designs by Claire McCardell, who established the field of American look. 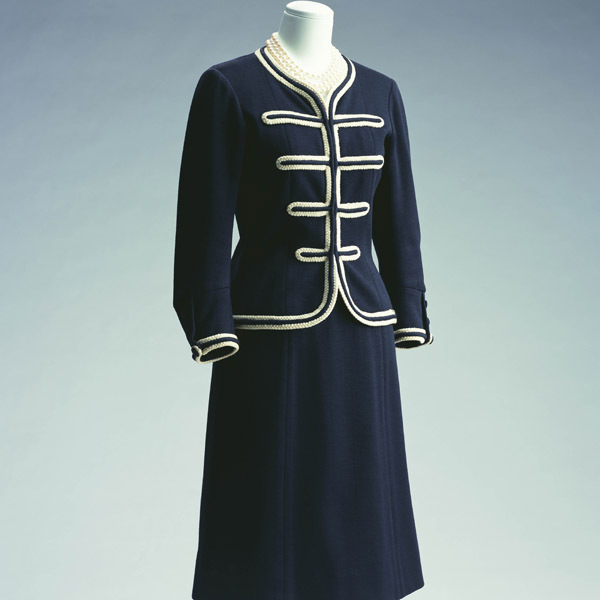 The suit has a simple tube structure, only featured with shirring at the top and bottom. 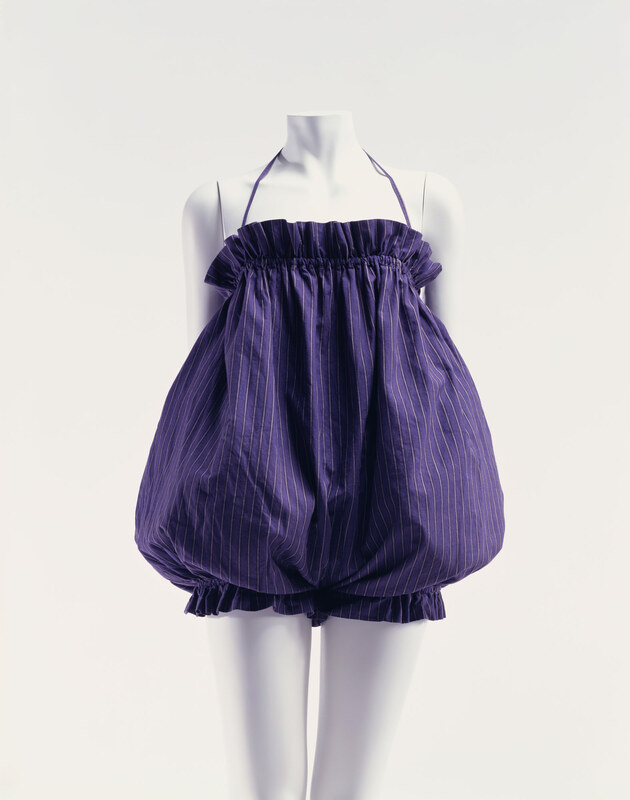 Because of its form resembling infant clothes, this swimming suit is active and at the same time functional. 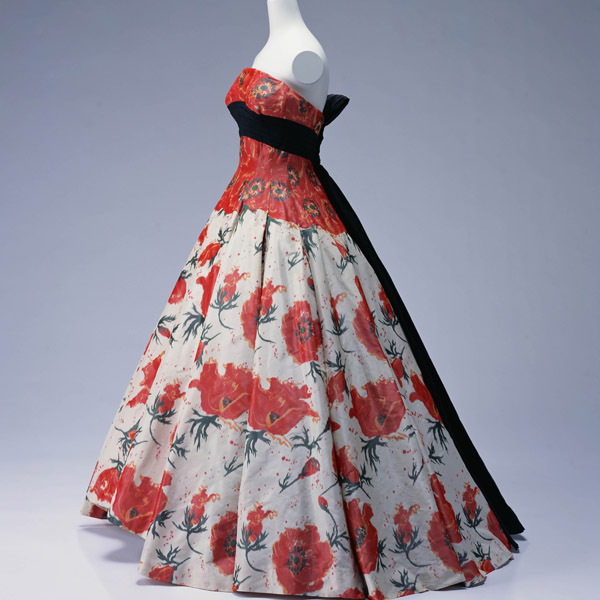 From the early 1930s McCardell worked for Townley Frocks, Inc., an American ready-to-wear company, as designer, and in 1940 she launched her own brand under the company. 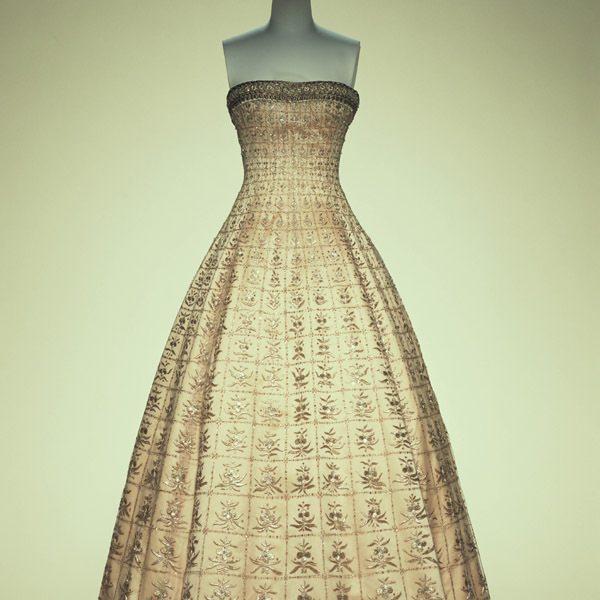 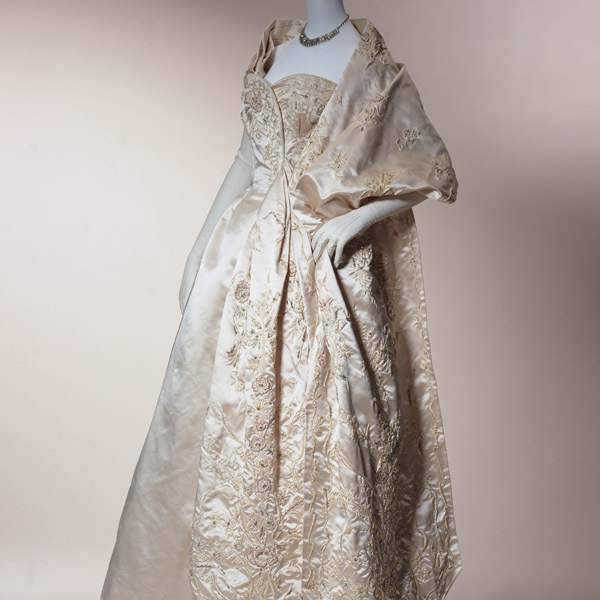 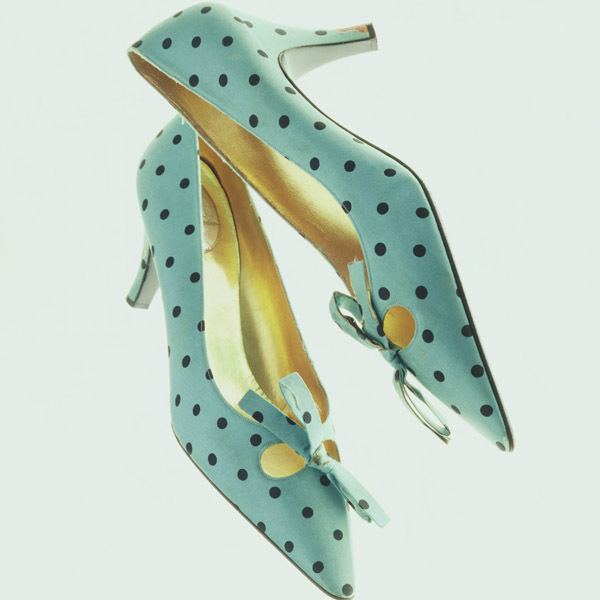 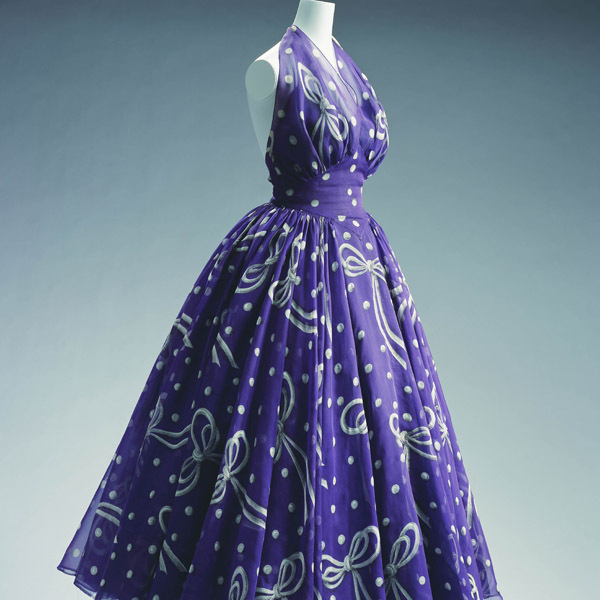 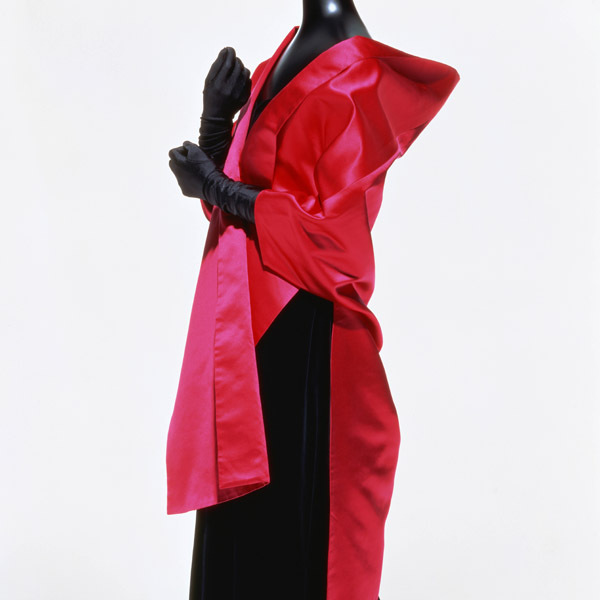 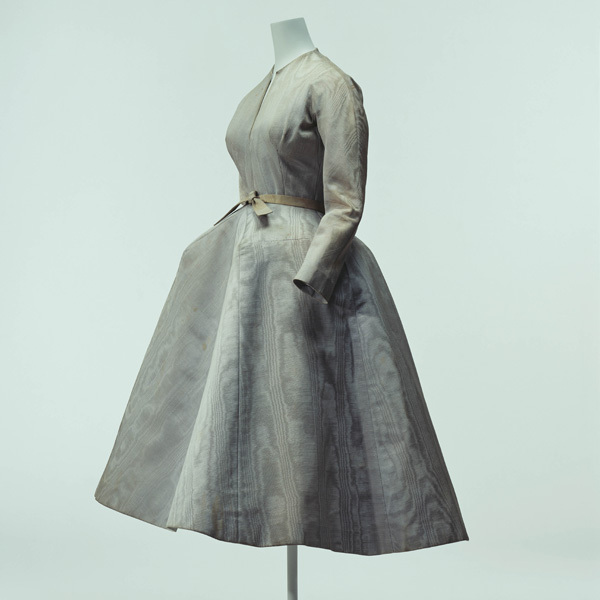 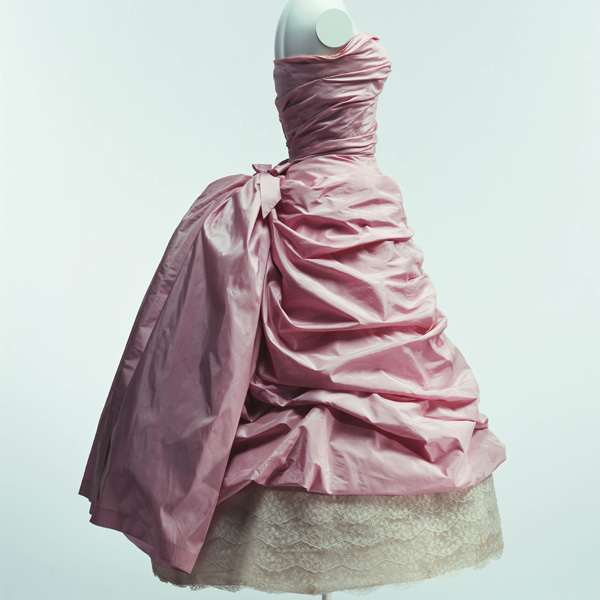 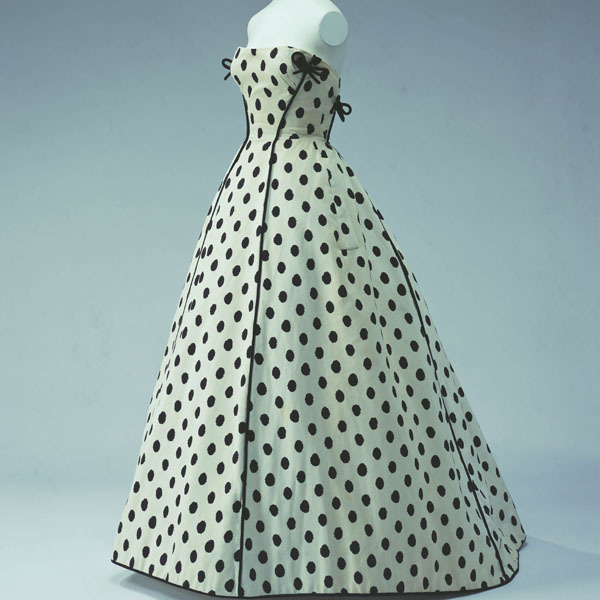 During the 1940s to 1950s, when American fashion, which had depended on Paris, became independent due to World War II, McCardell introduced her distinctive designs in quick succession. 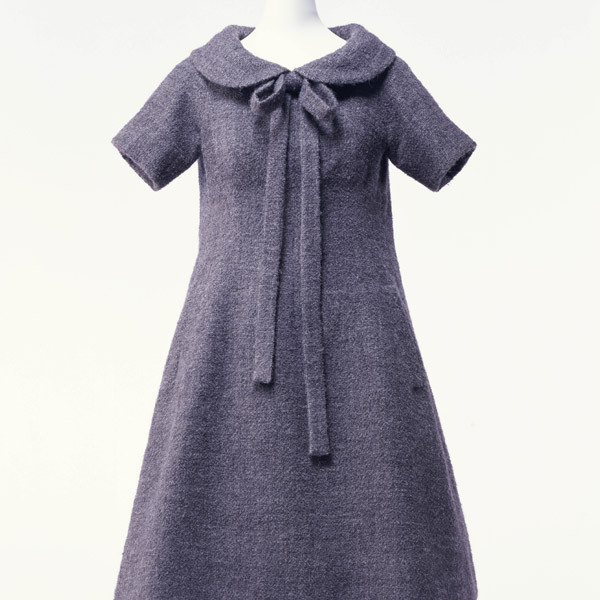 She built the simple, casual and youthful "American Look." 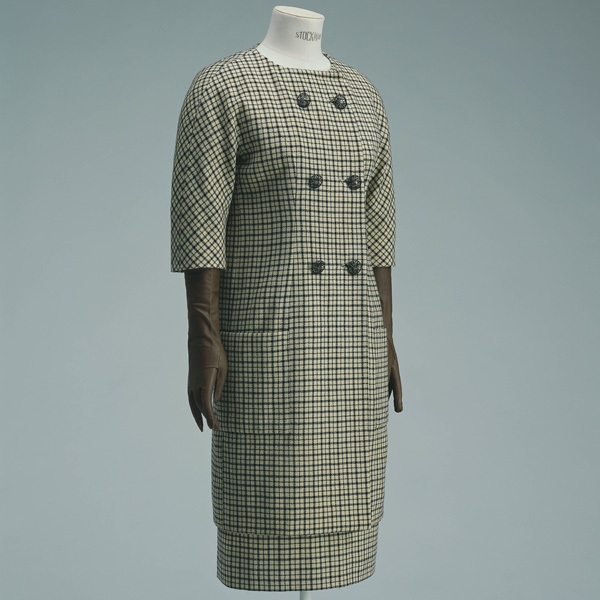 Women's clothes designed by McCardell have fewer cutting lines and a clear structure. 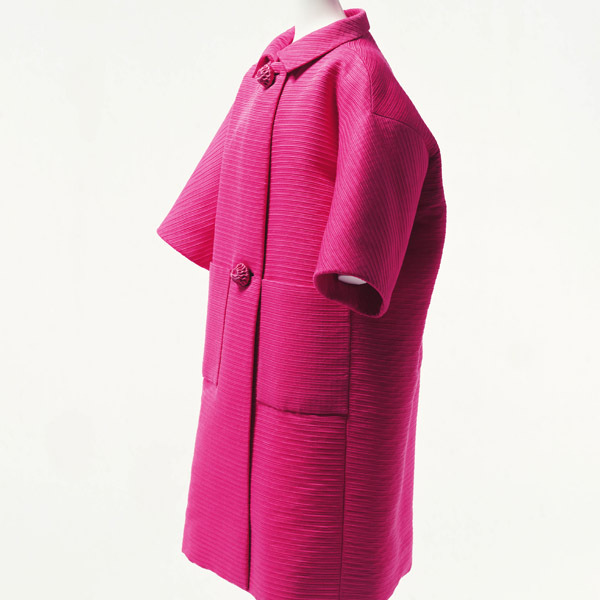 They remarkably accelerated the start of the following age of genuine ready-to-wear.